The PLOTBASE controller provides a professional, client / server workflow solution combined with the speed and convenience of a hardware RIP that’s installed on a standard Windows PC. Options are provided as new rsp license files made directly for the controller card. TAN certificates are not required. 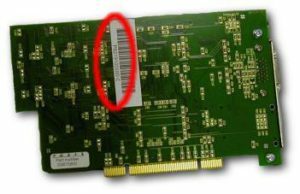 When ordering, please specify the controller card serial # (printed on the card) unless you are ordering a new controller card from us at the same time. Connect the PLOTBASE Controller to the Ricoh Wide Format Interface connection on the back of the copier. PLOTBASE Controller cards are specific to the copier model specified. They cannot be interchanged with other model copiers. License files are also made specifically for a given controller serial number. Once issued (or previously, once a ‘TAN’ has been registered for a given controller serial #) the license cannot be transferred to a different controller card. On the rare occassion when a controller card fails or is damaged, the license can be exchanged with options that were assigned to the damaged card when a new replacement controller card is purchased and the original failed/damaged card is returned. The perfect replacement solution for the Kyocera embedded CADMASTER controller.